Gentle Grooming at your place or ours! 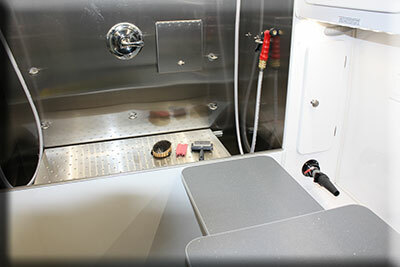 We come to your home or business and provide a complete grooming services that include bathing, complete hand drying, and styling according to your wishes. 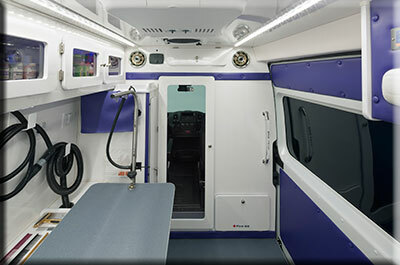 We bring a fully contained salon with our own fresh water tank & used water holding tank, a generator for electric power, heat, hot water, & air conditioning. Your pet has the undivided attention of the groomer in a stress free, cage-free spa-like atmosphere without having to travel. 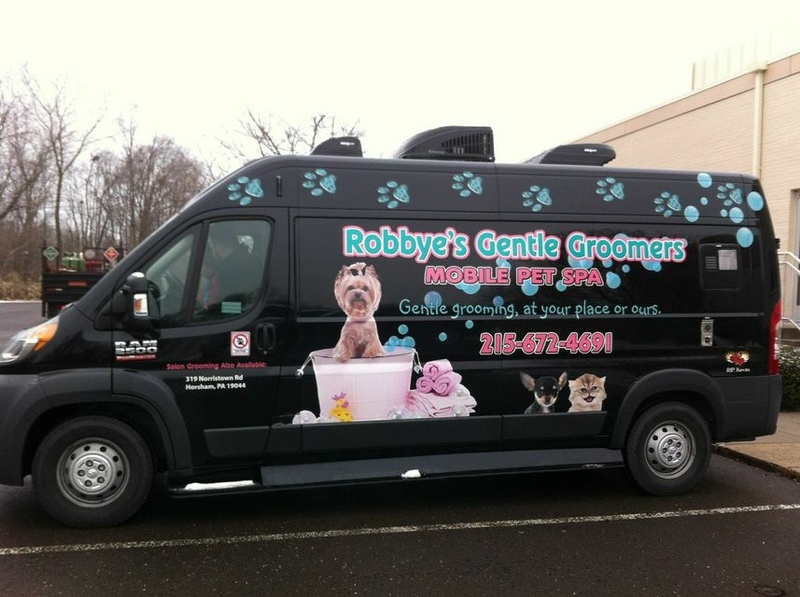 This luxury service is ideal for owners who want the very best for their fur-kids and keep them groomed on a regular schedule! 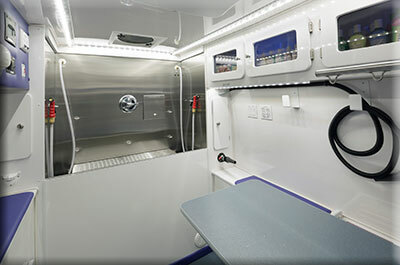 Take a Look inside the Mobile Pet Spa!